So, you’re organizing a group trip? Bravo for taking on the challenge! I promise, with our help it’s going to be SO worth it! 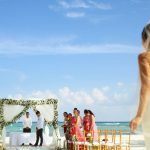 I teamed up with the group vacation specialists at PlayaDelCarmen.Com to curate this post! 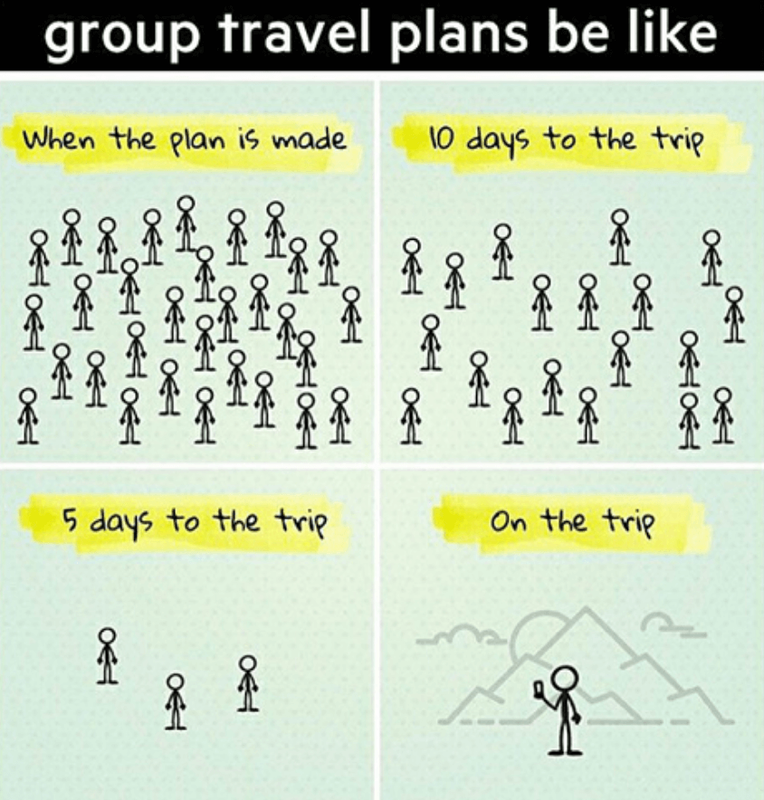 Because with good organization, group vacations are the best type of vacations. Because you get to make memories that last a lifetime with the people you love most. They are the moments you look back on 20 years from now and cherish! 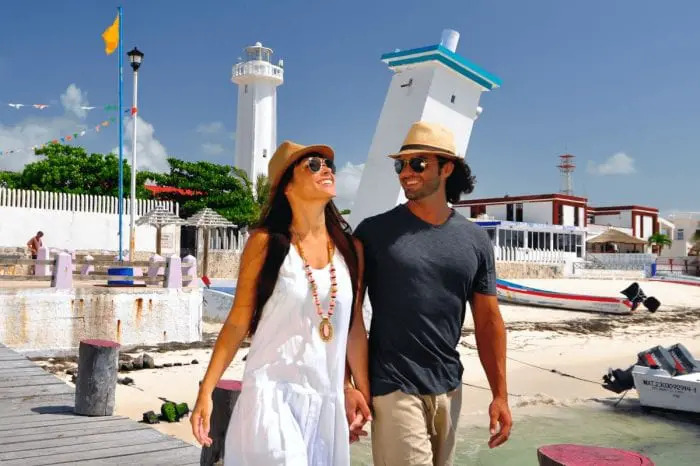 Excursions are at the heart of any good trip but some tours in the Riviera Maya are definitely more suited to big groups than others. Any of the tours listed below are guaranteed to be the highlight of your group trip. If you have any questions whatsoever be sure to let me know in the comments section below I would be happy to help. Foodies will LOVE this experience. The Traveler’s Table is a tour that was created with group vacations in mind! Foodies are sure to love this one! Take your tastebuds on a journey through time, and sample flavors from the Mayan empire right up to the present day. 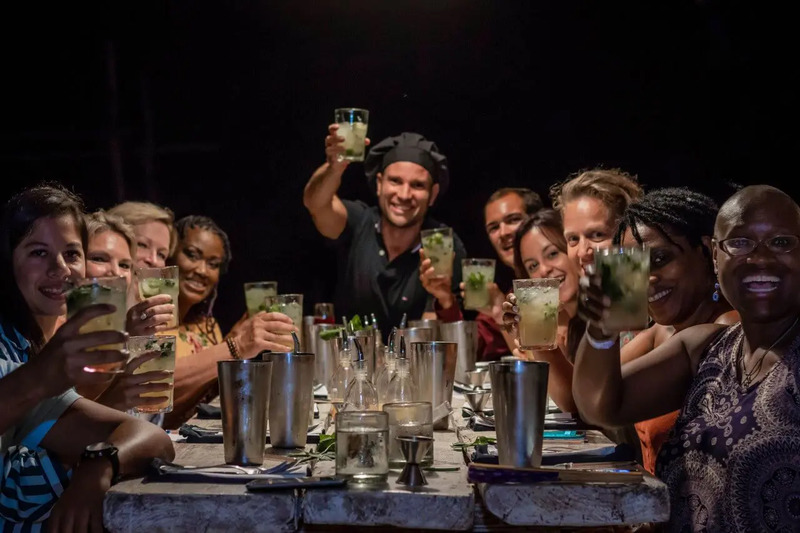 It’s the perfect opportunity to sit down together, have fun, enjoy delicious food and drink in an exclusive beach club just located on the outskirts of Playa del Carmen. If your group consists of 12 people or more we can help you can organize a private Traveler’s Table tour any day of the week. Enjoy 5 delicious courses, a range of Mezcals, wines, and tequilas, and of course, dessert! Mmmm. It’s the perfect blend of gastronomy, storytelling, hands-on participation, social interaction and most importantly – FUN! Please let us know any dietary requirements in advance so we can arrange a replacement dishes for you. This lavish dining experience is not to be missed! 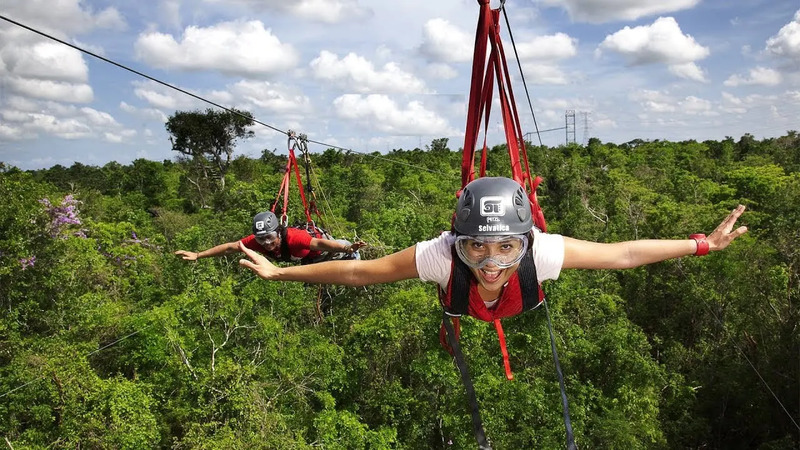 The jungle, adrenaline, and zip lines – a perfect recipe for adventure. The Riviera Maya is home to some pretty epic jungle adventures but none of them blend together quite as seamlessly as Selvatica! Not all ziplining adventures were created equal and the ziplines at Selvatica are super innovative! Soar through the air like Superman, upside down, or take plenty of twists and turns on Tanzania AKA the human rollercoaster! Your friendly guide will accompany the entire group around the course and will even get to know you all on a first name basis. 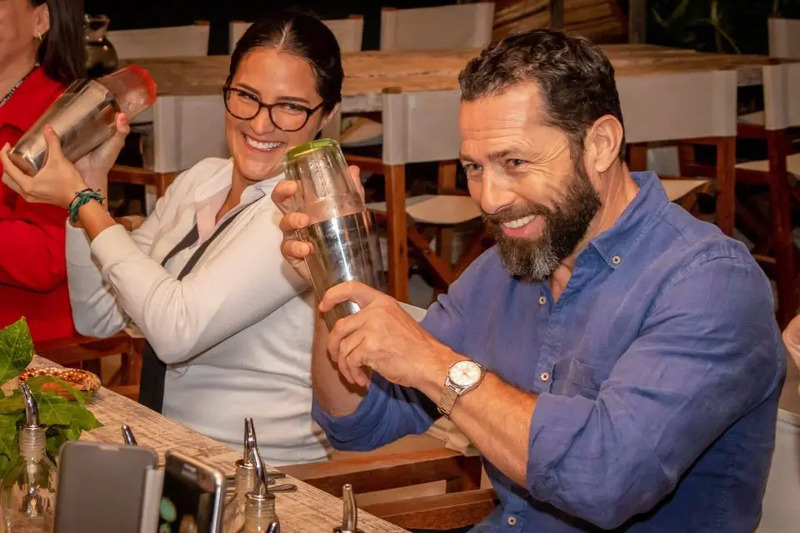 Service feels personalized on the Selvatica Gimmie All Tour, you are never left to your own devices, and it’s the perfect full-day adventure to enjoy together. Food and roundtrip transportation is included. Lavish luxury at affordable prices, yes, please! The turn of the phrase ‘the more the merrier’ definitely carries some weight here, because the more people in your group the cheaper this tour will be for you. 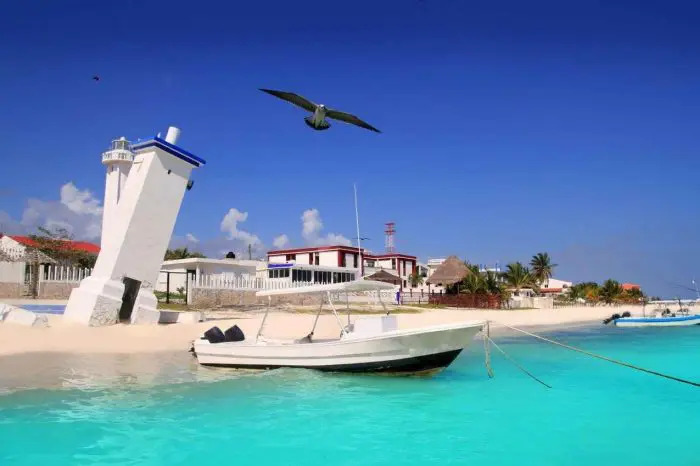 You can enjoy a majestic view of the Mayan Ruins from the ocean while learning all about their fascinating history. 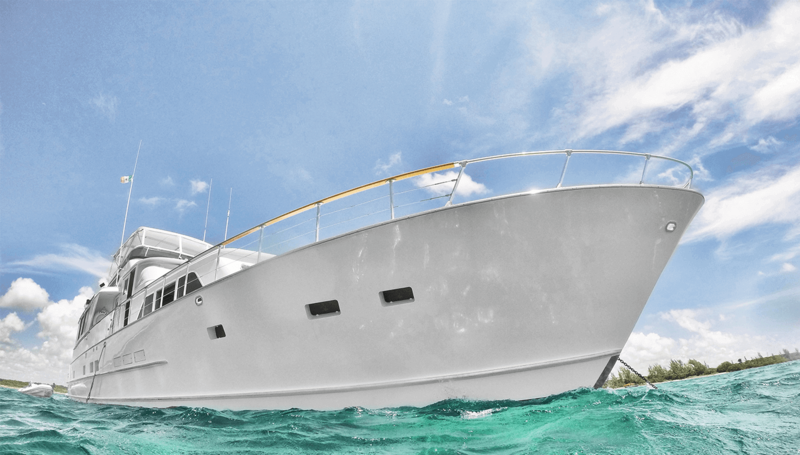 Plus, snorkel the beautiful turquoise waters and make friends with the local marine life. If you’re lucky you will have sea turtles as your swimming partners. Snacks: seasonal fresh fruit platter, fresh guacamole & chips, pico de gallo. 8 hours for 15 people is $3770 USD. Working out at $250 USD per person. As of 16 people, an additional surcharge of $75 per additional adult will be added. 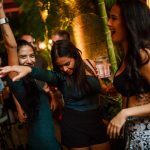 VIP option available for $20 extra per person – boasting a premium bar with beverages such as Grey Goose, Moet, and Don Julio, plus special menu options with choices between Japanese, Italian, Fusion, International, or Mexican Cuisine. Maximum capacity is 43 people. Golfing tours are a great way to build camaraderie and friendships plus forge lasting professional relationships. 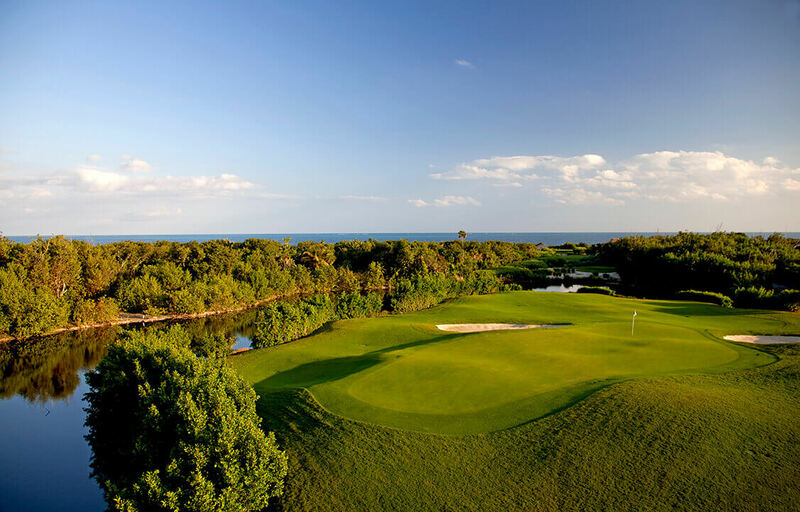 Tee off in the middle of a tropical paradise at Hard Rock Golf Club Riviera, a 72 par golf course set in the gated residential area of Playacar. Designed by Robert Von Hagge, the golf course is surrounded by the region’s stunning flora and fauna. This location is great for groups because its close to Quinta Avenida so if not everyone wants to go golfing the rest of the group can spend the day shopping, eating, or exploring. This tour is all about “adventure”, “fun”, “culture” and above all “authenticity”. 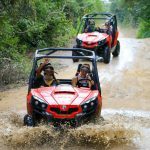 Jungle buggy offers you and your group to discover the REAL Mexico and what lies behind all mainstream tourist attractions. 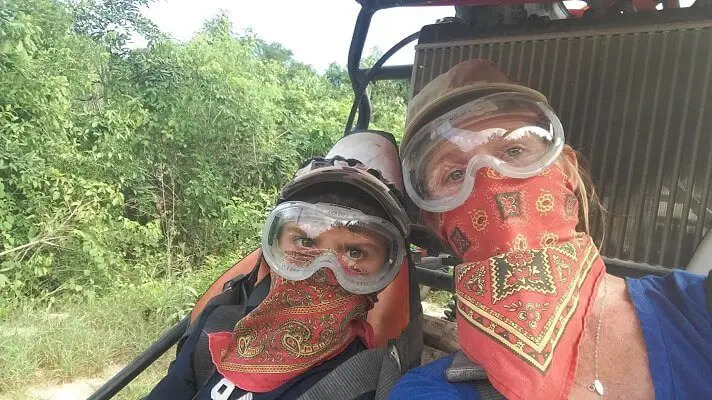 Petrol heads will be in their element as you zoom through the Mayan jungle with your group, explore the track paths, and even get to know the community of a local Mayan village. Here we will offer you the chance to do some good in the world by donating $5 worth of food that can help feed a family here for a week. Then it’s time for a refreshing cenote swim in an underground river system – one of the most visually stunning in the region! 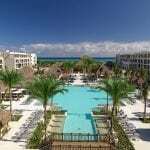 FREE roundtrip transportation from all Condos and Hotels located in a 10-mile radius of Playa del Carmen. There is a maximum of 8 buggies (making room for 16 adults) and the tour last around 4 hours. 4-seater buggies are available for families. Do you know what’s better than bucket list checkin’? Bucket list checkin’ with friends! 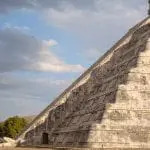 Chichen Itza is one of the most iconic archeological ruins in the world! This city of temples was built between the 6th and the 10th century A.D deep in the Yucatán jungle. 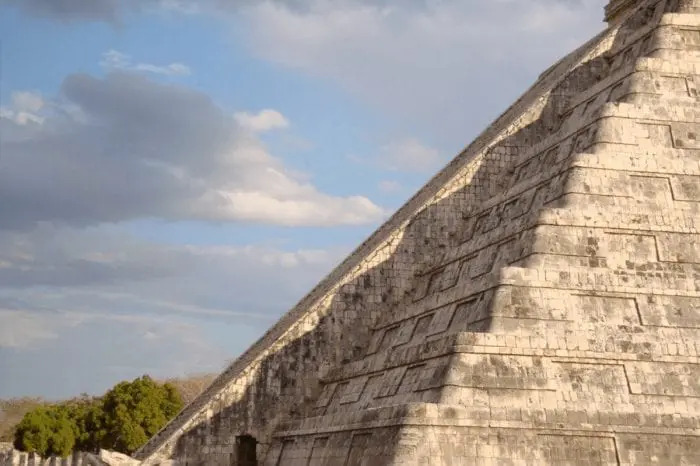 The most famous pyramid is the Kukulcan, who’s structure eerily represents today’s modern calendar. Your expert guide will wow you with the fascinating histories that shroud this enchanting place. Then, you will have some free time to explore at your own free will. Lunch is included and you will even have time to stop off at one of the most well-photographed cenotes in the region. 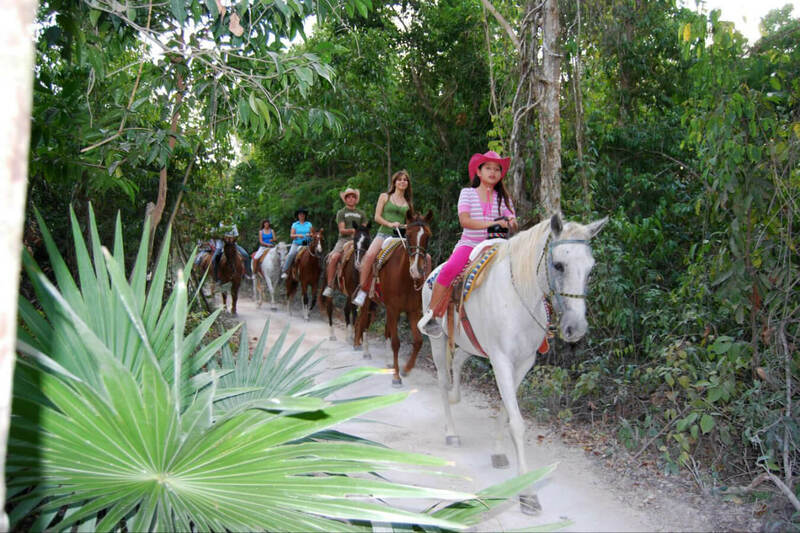 You and your group can enjoy a horseback ride in paradise accompanied by your professional guide. Journey through the lush vegetation and tropical jungles as you contemplate its beauty with your newfound equestrian friend. It’s the perfect relaxing activity to do together. 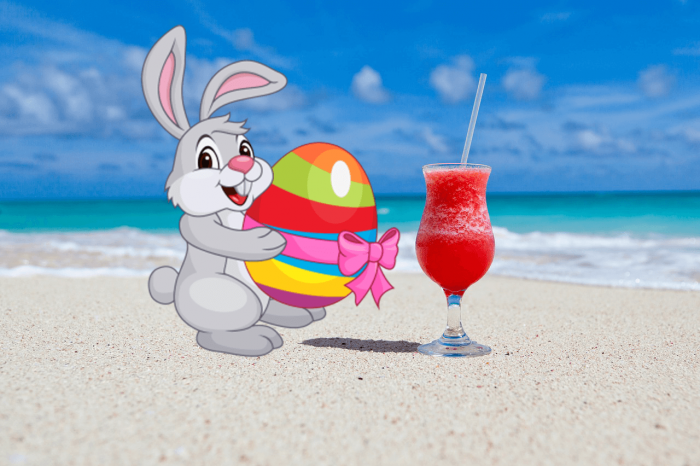 Once you’ve finished the ride, stop off at a gorgeous beach club with your friends to enjoy an ice cold beverage and some snacks. This tour includes roundtrip transport and runs Monday through to Saturday. There are 3 outings daily at 9:30 am, 12:00 pm and 3:00 pm. Exact pickup times from your hotel are confirmed upon booking. 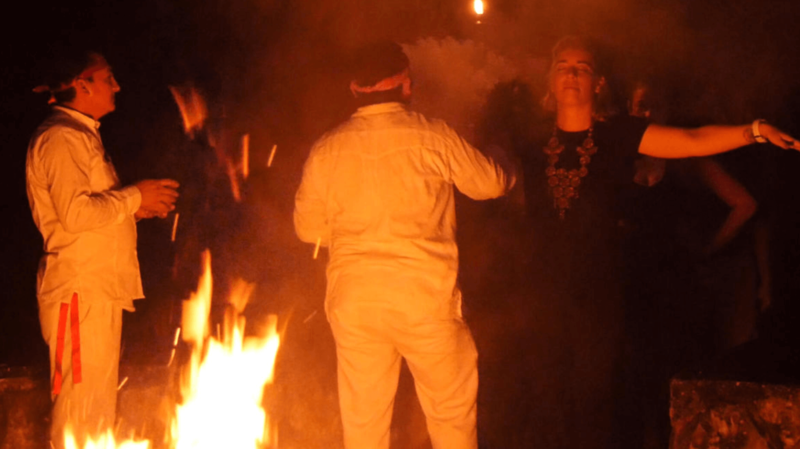 Cleanse the body soul and mind on the Sanctus Lotus – Temazcal tour! Take part in a gastronomic workshop, experience a purifying Temazcal ceremony, and so much more! You and your group have the chance to open your senses to a traditional Mayan way of life and learn about all aspects of authentic Mayan life; their housing, clothes, food, and respect for nature. 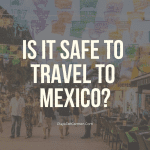 It includes a gastronomic workshop, a spiritual Mayan ceremony, Temazcal, a swim in a cenote, and a Mayan Dinner. This tour is available on Tuesday and finishes around 10 pm, but if your group is of 10 people or more we can open up a special day for you if you would prefer a private tour. The Tulum Full-Day Explorer Tour combines the Tulum ruins, snorkeling & cenotes in one magical tour! Explore the ancient cliffside ruins in Tulum with your professional guide who will share all of its fascinating secrets with you. From there you will make your way to Playa Paraiso where you will snorkel the vibrant reefs and make friends with the marine life. 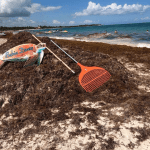 If you’re lucky you may even see a sea turtle or two! 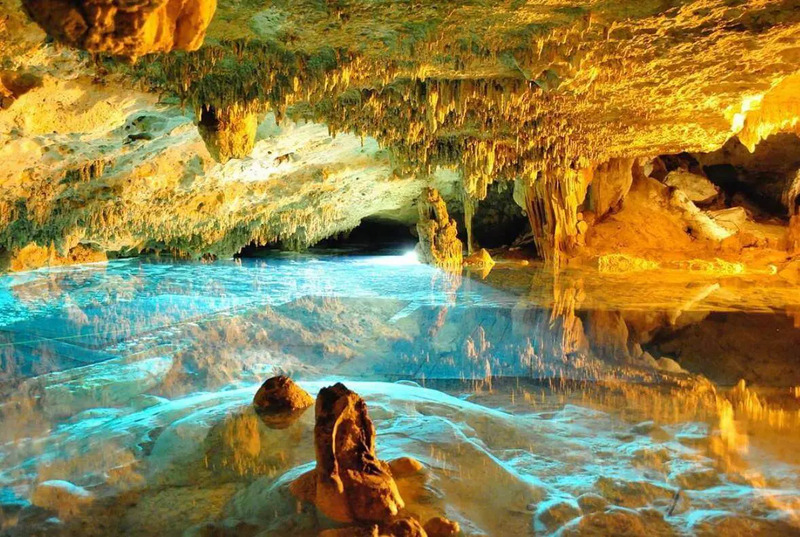 The cenotes in this region are one of the highlights the Riviera Maya has to offer. 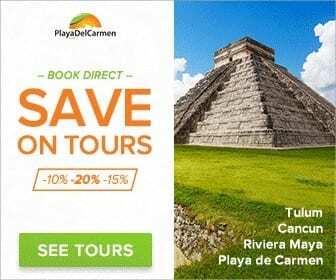 On this particular tour, you will explore mystical caves that are adorned with million-year-old stalactites and stalagmites as you journey beneath the surface and into the ancient Mayan underworld. The minimum suggested age for this tour is 8 years old as there is lots of swimming and terrain can be quite rocky in parts. Child pricing applies to 8-11-year-old children. 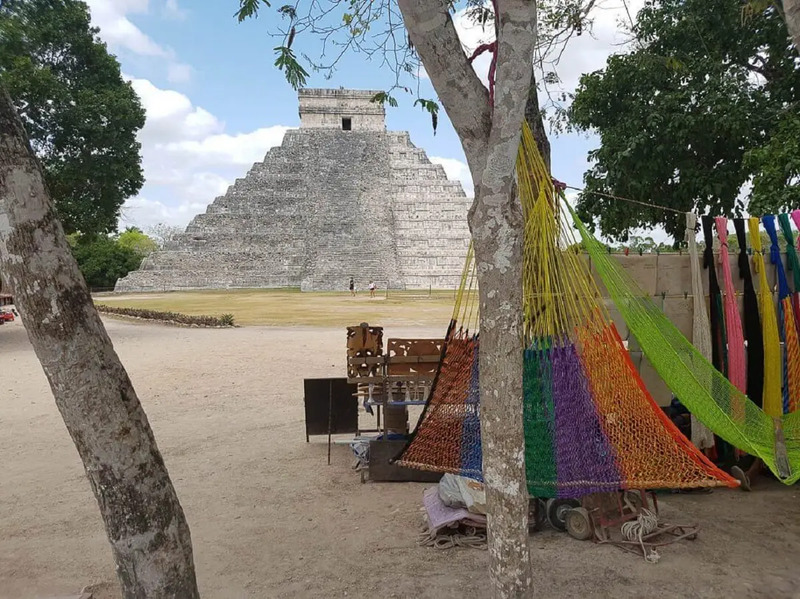 You and your group can do more than just observe Mayan Ruins you can climb them at the Coba Ruins too to truly appreciate the magnificent views. Cool off by visiting one of the most beautiful reefs in the region teeming with colorful fish and vibrant marine life. 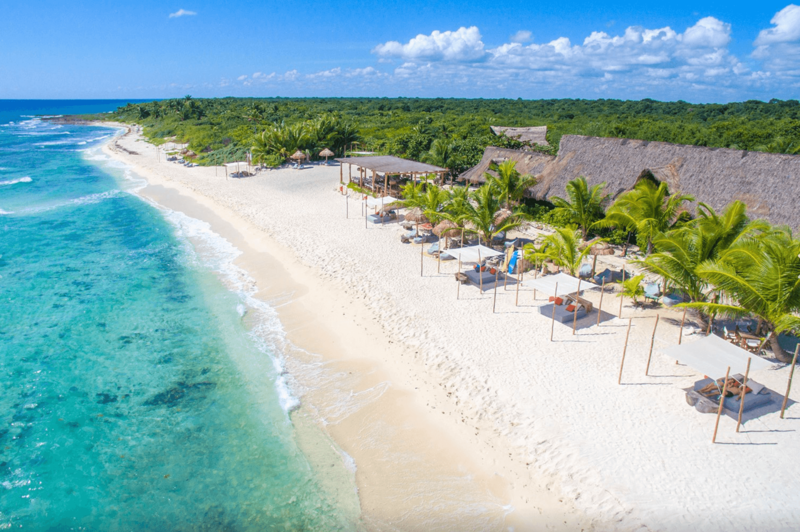 Then spend the rest of the day at the EXCLUSIVE beach hideaway where you will enjoy a savory lunch and some well-deserved rest and relaxation. At Coba, you will journey back in time over 2000 years ago to the nexus of the largest network of stone causeways in the Mayan world. This place documents ceremonial life and important events of the Mayan civilization. 9:30 – Arrival at the archaeological site of Coba and guided tour. 11:30 – Departure from Coba to the beach club. 14:00 – Lunch and free time. Private tours are available but only guaranteed for groups of 12 minimum, ask one of our Travel Gurus today! This tour operates Monday-Friday and lasts 6 hours without added time for transportation. 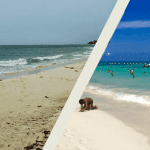 Visit our group vacations page today to see how we can help you get organized on your next trip to Cancun or the Riviera Maya. We can help with family reunions, corporate getaways, golf vacations, friends vacations, birthdays, spiritual retreats, bachelor (ette) getaways, and foodie vacations! A great trip starts with good organization. Take the stress out of planning. It’s time to start making memories.